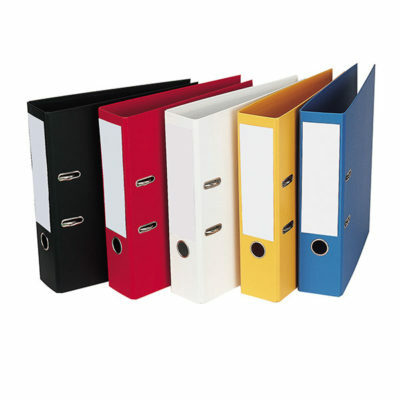 We stock all your filing essentials to help keep all your papers and documents in order. 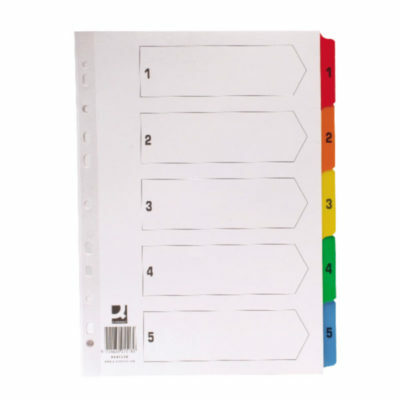 Q-connect premium multi-coloured index dividers to help organise continuous tasks. 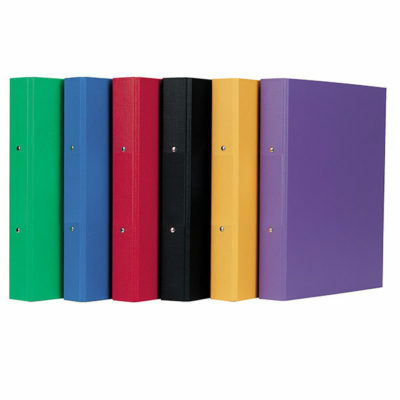 Coloured tabbed dividers, multi punched for general filing. 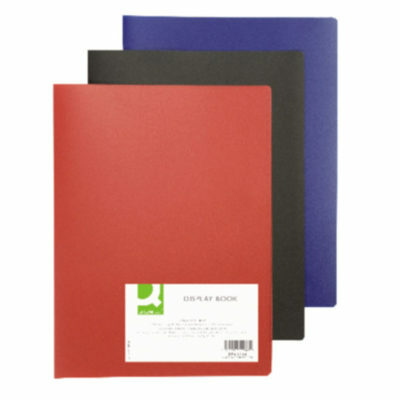 Heavy duty polythene zip wallets. 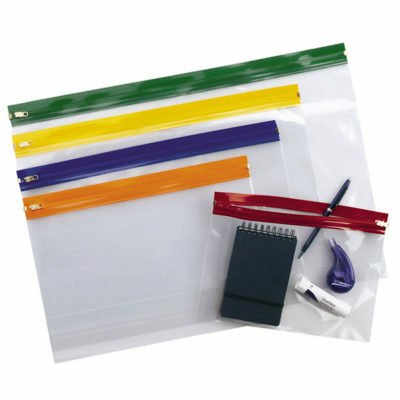 Clear plastic with coloured zips. 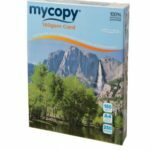 Available in A5, A4 and A3. 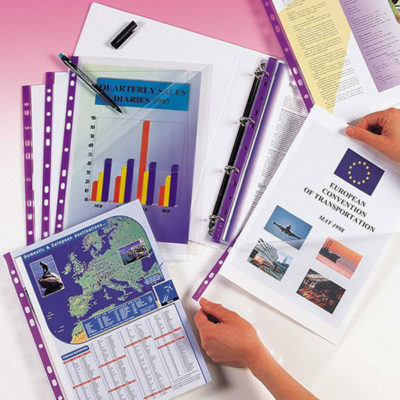 Report files, A4 lightweight folders for presenting coursework and projects. 2 hole flat bar filing clip and clear cover. 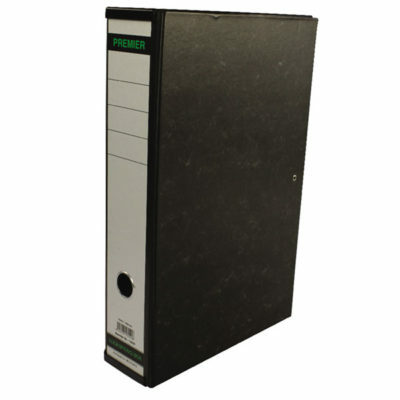 High quality, black foolscap box file with internal clip, ideal for storing loose documents. 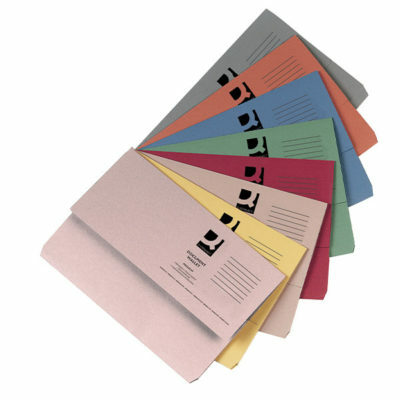 Q-connect coloured lightweight, document wallets. 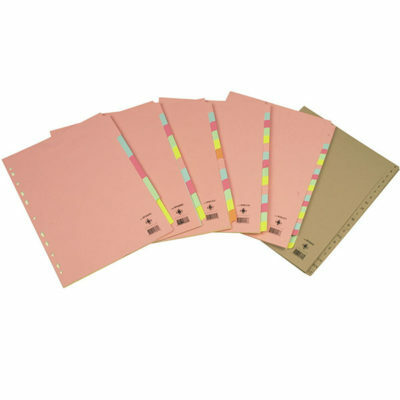 Ideal for filing loose papers. 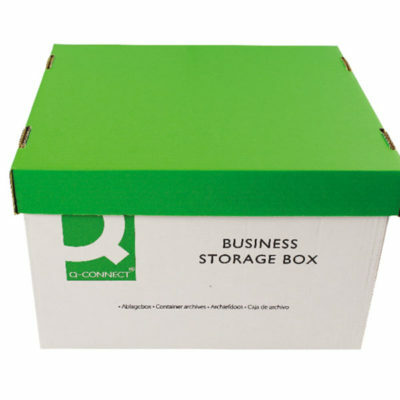 Q-connect durable, cardboard budget storage boxes. 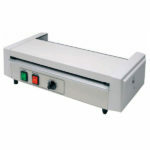 Easy to assemble with lift off lid. W335 x D400 x H250mm. 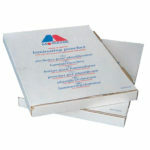 A4, 2 ring, polypropane ring binders with label on spine. 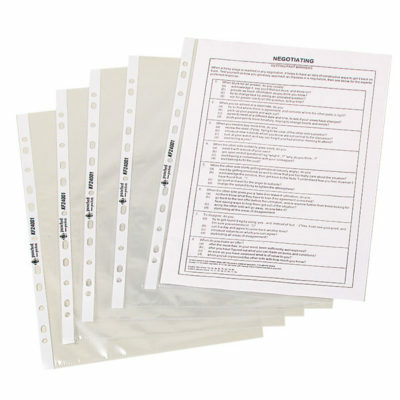 Premium quality A4 clear multi punched poly pockets. 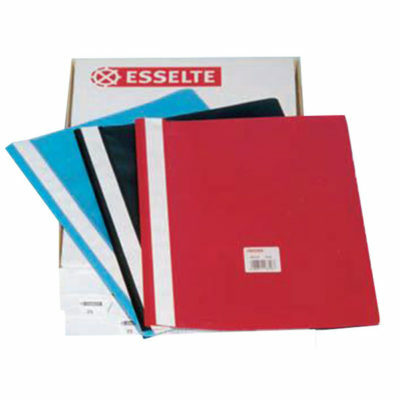 Heavy duty pockets for easy filing. 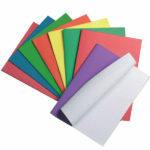 Q-connect A4 display books with flexible coloured polypropane covers. 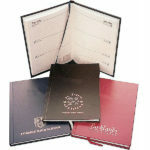 Available with 10, 20 or 40 clear pockets, perfect for displaying presentation work.